In 1990 Dr Richard Cummins from Seattle, USA discovered if a series of events took place, in a set sequence, a patient suffering from a heart attack stood a greater chance of survival. These events are now known as the "Chain of Survival." Community First Responders are an integral and valued link in the "Chain of Survival" in areas that experience an extended journey time, as they can provide essential simple treatments in those crucial first few minutes prior to the arrival of an ambulance. 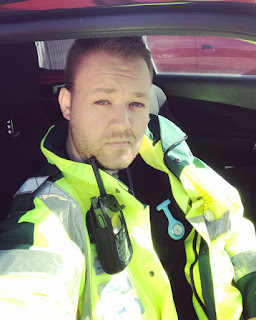 Who and what is a Community First Responder? 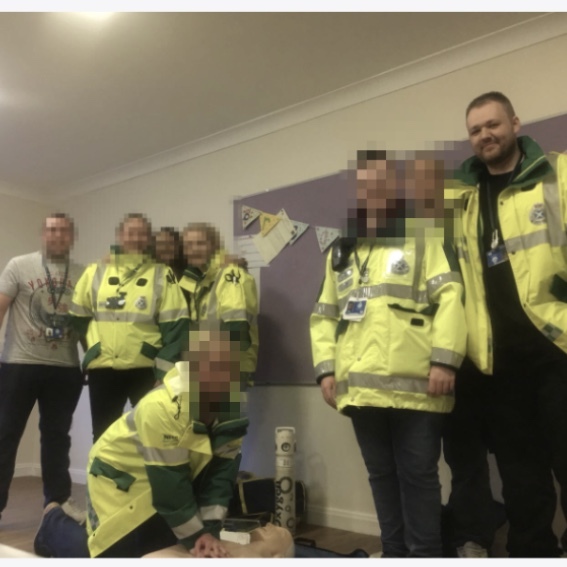 The Resuscitation Council (UK) states that a CFR is "a person trained as a minimum in basic life support and the use of a defibrillator who attends a potentially life-threatening emergency." We are local volunteers who agree to undertake the aforementioned training. This enables us to provide life saving treatment to those people within the community who are critically ill.
We book on with the Ambulance Control Centre (ACC) as being available at home, and then we are contacted by radio and despatched to deal with any 999 emergency calls in our area that are deemed appropriate as part of the ambulance service. We are asked to commit to around 12 hours of on call availability each month. Medical collapse or Unconscious Patients. What made you chose to become a CFR? As mentioned at the start, the time we spent in hospital when Mara was born made me reprioritise a lot of things. It’s only now that we are in some kind of routine and she is a bit more settled and independent that I’ve had the time and the opportunity to work on this. Caroline has been a great support throughout my time studying and training. I’ve always had a keen interest in first aid itself. I’m one of the first aiders at work, I used to volunteer with St Andrews First Aid for a bit before Caroline and I got married, and anyone who really knows me knows that I’m forever injuring myself one way or another so ideally, this is the best possible position for me! If I can’t sort myself out I can always talk someone through it! 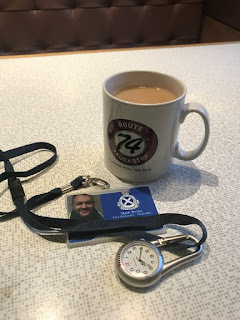 After an initial interview with my co-ordinator, and the enhanced Disclosure Scotland checks to ensure that I was safe to work with children and vulnerable adults, I attended a 4 day course over two weekends at Motherwell Ambulance Station. It was quite an intensive course with a lot to take in, and was obviously much more in-depth than any first aid training I’d had before. Day 4 was the written and practical examination part, which although daunting was incredibly stress free. I also had to do a 3 hour course on how to correctly use the radio’s we are provided with as CFR’s. Training doesn't stop there though, we have ongoing monthly training alongside the Forth & Lanark CFR groups at Lanark Fire Station which keeps us up to date with all protocols and procedures. I love my role as a CFR. When the call comes in there is a weird mix of excitement and fear as you rush off to help. We respond in our own vehicles without any blue lights or anything, so we have to observe all traffic laws. We have no right to speed despite our roles. We are an integral part of the ambulance service and it’s our job to get to people early since early medical intervention saves more lives, and more often than not we are first on the scene before the ambulance crew arrives. We do what we can to stabilise a patient and, if needed, assist the crews in transferring the patient to an ambulance for transfer to further medical help in hospital. We work alongside ambulance technicians, paramedics and ACC who all form part of the emergency care team. Every call out is different and you have to think fast, keep calm and respond professionally. We may only be volunteers but while we are on call we are representing the Scottish Ambulance Service. You need to have real people skills to enable you to deal with scared patients in pain or trauma, or relatives who may be in shock or distress. 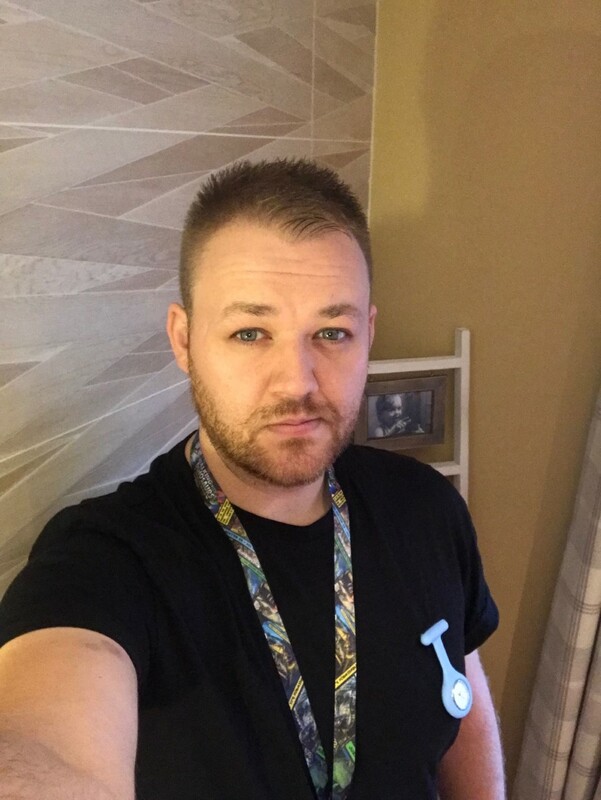 It’s a massive contrast to my day job, but it grounds me in the real world and provides a lot of satisfaction actually helping people in need while getting involved in my new local community at the same time. 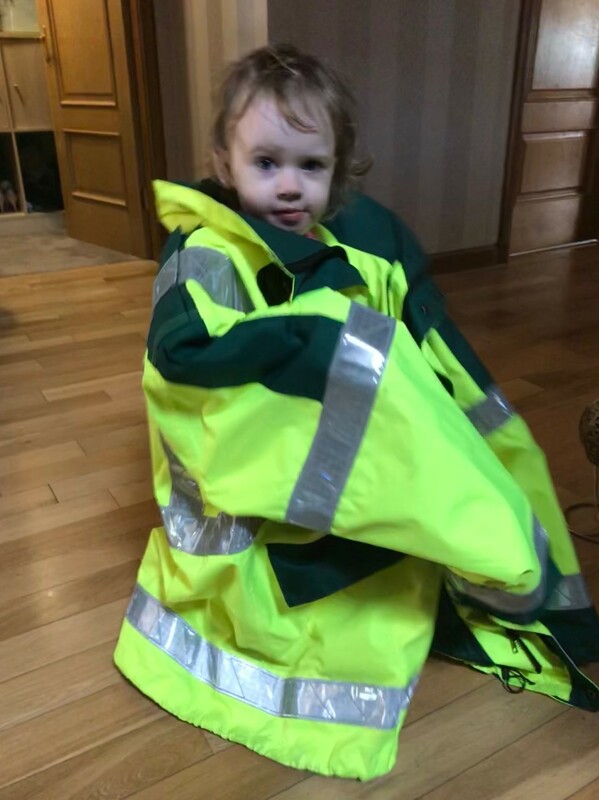 I volunteer with Clydesdale Community First Responders covering Lesmahagow, Kirkmuirhill, Coalburn, Blackwood and the surrounding areas. http://www.scottishambulance.com/yourcommunity/responders.aspx or use a search engine to find out about your own area if you are based elsewhere. If you have any questions please don’t hesitate to ask and I’ll help out as best I can.